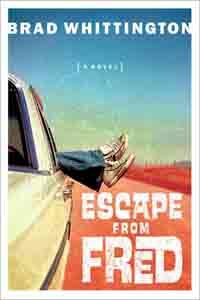 Escape from Fred is a moving and entertaining tale set against the vibrant backdrop of the 1970s and the American heartland. It follows the wandering path of a boy crossing over into manhood. Mark isn't just leaving Fred, he's leaving behind the label that haunts his life: preacher's kid. College is a blank slate where he can write his own future instead of having his life ruled by the expectations of others. Or so he thinks. No one suspects his true identity - not The Captain, not the two Phils, not Weissman Not even the cute freshman he photographs as her roommates throw her into the fountain. With no deacons in sight, Mark breathes the sweet air of freedom. Until a ride home from work turns into a ride to jail. As Mark's new life disintegrates, an even greater disaster in Fred denies him the only refuge in sight - returning to the comfortable oppression of his old life. Mark returns to Fred, but everything has changed in the one place where nothing changes. In desperation he bargains with God. When the unthinkable occurs, Mark leaves Fred to escape the questions. Questions with answers he can't bear to hear. He sets out on a pilgrimage with no goal, unsure if the road offers enlightenment or oblivion. The path leads him to a childhood friend and their unresolved debate, but now each is arguing for the other side. Can Mark ever escape from Fred without returning to face the answers he fears?